While there was no mention of an inquiry into petrol prices fluctuations at the pumps, yesterdays Budget did have some good news for UK classic car owners. Starting from 1st April 2016, vehicles manufactured before 1st January 1976 will be tax exempt, all thanks to the current governments 40 year rolling system. This is great news and means that a whole raft of cars will soon be cheaper to run. Here are our top 5 tax free classic cars currently available in the marketplace. 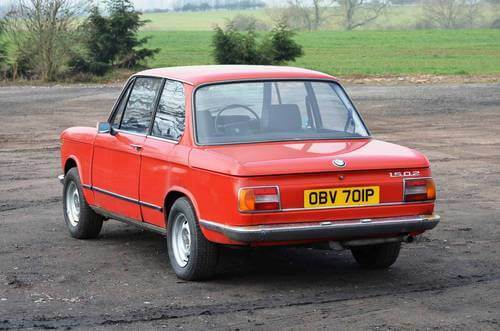 The BMW 1502 was a two door saloon introduced in 1975 and was based on the 2002 body shell. Part of the 2 Series family, it had a 1573cc SOHC engine producing 75BHP and a four speed gearbox. While the 2 Series line was replaced in 1975 by the new 3 Series, the 1502 actually stayed in production until 1977. 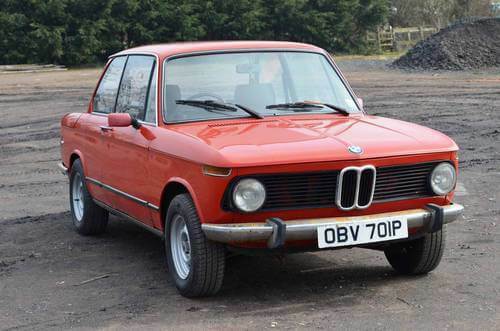 The BMW 1502 on offer is a rare 1975 model which has had one owner from new. 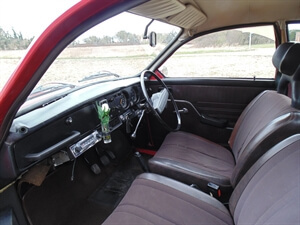 Described as being a project requiring cosmestic improvement, it has had the seats re-trimmed and is said to drive well. It is easy to mistake this 1502 for the earlier 2002 model thanks to them sharing the same body. These compact BMWs are interesting little cars that have grown in popularity in recent years. This one looks to be a good little project and it looks to be pretty straight, no doubt saved by being in storage. Providing it is not hiding any rust, it should prove to be an economical little runner that could be fixed up as you go along. The £230 saving could go towards the cosmetic improvement list. We’d go for some new chrome mirrors to start with. This little BMW is tax free classic car motoring at its best. Some chrome mirrors would enhance this one nicely. We've always liked the 2002 bodied BMWs. Nice clean and unfussy styling. 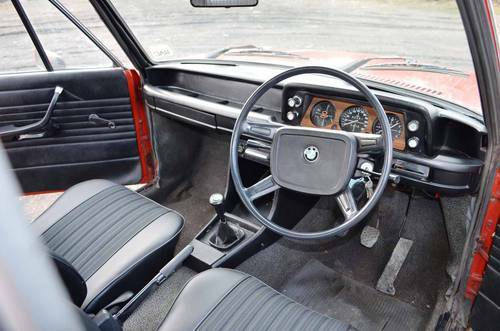 The classic BMW interior looks in good condition. The Saab V4 is one of the most unusual looking cars to come out of Scandinavia. With a tiny Ford V4 engine producing 65BHP, a light body and excellent chassis, it proved to be an excellent rally car, winning the Swedish stage of the WRC Rally in 1973 and 1976 along with many other victories throughout its twenty year life span. 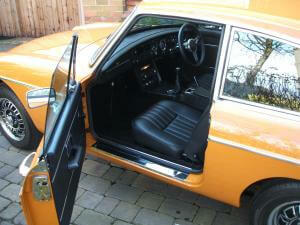 The Saab V4 we have selected is a 1974 model which has under gone an extensive restoration. It has had new floors, sills and a full respray which is described as excellent. New brakes, suspension and radiator were also added. 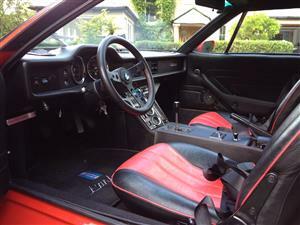 The interior is described as being original and very tidy and the engine bay is immaculate. 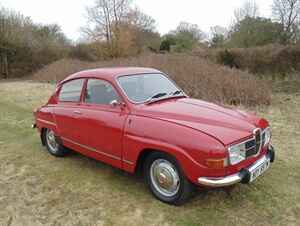 While you can get a Saab 96 V4 from before 1974, there aren’t many about in this condition. 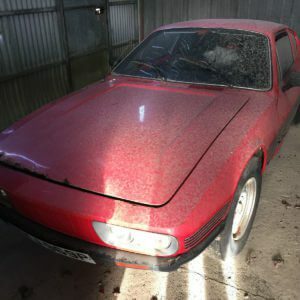 The photos indicate that this V4 is in great condition and if the restoration has been done to a high standard, it should be good for many years to come. With the changes to the tax rules you can save £145 a year on this Saab. And with a car with looks like this it is win win all the way. We love the shape of the quirky 96 V4. The interior looks nice and original. That is a nice clean engine bay. This Saab 96 V4 is offered by Pioneer Automobiles in Newbury. More details can be found here. The Triumph TR6 was a successful continuation of the superb Triumph TR line. 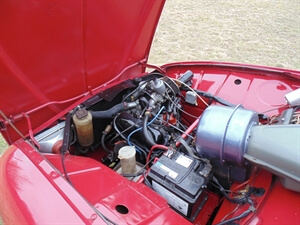 Designed by Karmann, the two seat convertible had a Lucas Fuel Injection 2.5ltr straight six engine producing 150BHP. A four speed manual with optional overdrive was offered. While the TR6 was underneath basically a refreshed TR5, the trick worked and over 94,000 were built from 1968 to 1976. 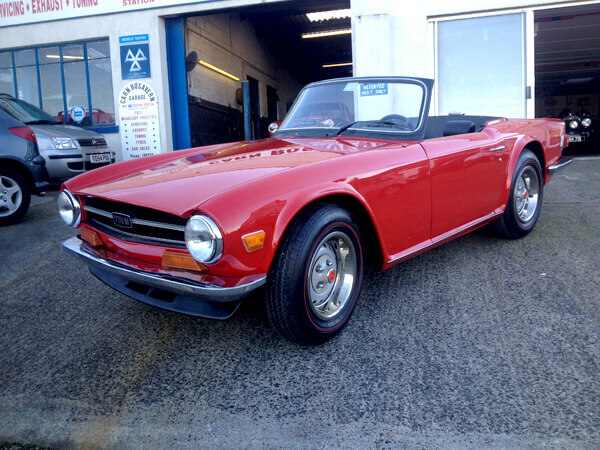 The Triumph TR6 on offer is a 1974 LHD import from America. It has had a full bare metal respray and is said to be rust free. The restoration work included new interior seats, carpet, hood frame, and various suspension and braking components. The seller notes that as it is an US export model it is running carbs instead of fuel injection. There has been a noticeable increase in the number of LHD TR6 imports to the UK in recent years. As the TR6 has a reputation for rust, sourcing a rust free body is important which this one is said to be. While the steering is on the wrong side, conversions are possible. The Triumph TR6 is a great drivers car and the straight six sounds excellent. While no details are given about mileage and the general condition of the engine, the restoration looks good from the photographs. 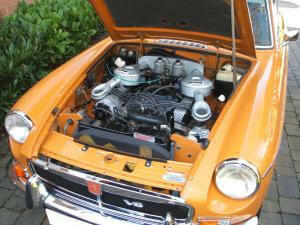 This TR6 could be a great buy for the summer and your car tax saving could go towards a nice weekend away. Sounds like a good deal all round. A long term favorite, the TR6 looks a purposeful convertible. The Karmann designed TR6 had a more square boot, shared with other Triumphs. A rust free TR6 is a huge bonus. Hence so many LHD imports of late. 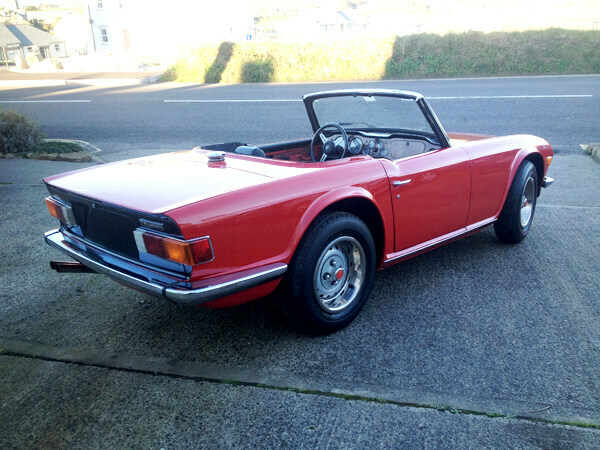 This Triumph TR6 is offered by Carn Bosavern Garage in Cornwall. More details can be found here. It took MG a long time to put a V8 in their sports car lineup and it finally happened in 1973. They utilised the Rover 3.5ltr V8 which produced 137BHP and had a soundtrack that was perfect for the GT coupe. Performance and handling were good for their time but it arrived too late, launching at the time of the 1970s oil crisis and was never offered in the US. All mistakes that meant it never took off. MGB V8 prices have been climbing in recent years, a sure sign that it is finally getting the attention it deserves. 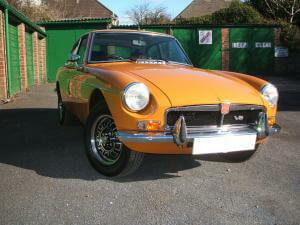 The MGB we have chosen is a rare factory V8 and is described as being in pristine condition. It underwent an extensive restoration in 2013/14, was resprayed in its original yellow and had a new leather interior fitted. 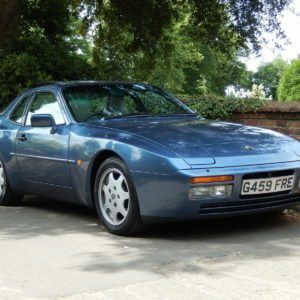 It is said to retain many of its original factory specifications which include cast iron manifolds, complete air induction system, Dunlop alloy wheels and the four speed gearbox with overdrive. This rare MBG GT V8 looks superb in its fresh yellow paint and the engine bay looks great. We just love the sound the V8 makes, its the kind of car you want to just drive and drive. That £230 saving will come in handy for the large fuel bill you’ll have from constantly flooring it. This MGB GT V8 looks great in yellow. What we like to see. A clean and sorted engine bay. Ok at this price you really aren’t going to be too bothered about the cost of taxing a Pantera. And you could easily blow £230 on fuel in a weekend of spirited driving. However the Pantera is one of the all time great super cars. Designed by Tom Tjaarda, the De Tomaso Pantera used the 5.8ltr Ford Cleveland V8, producing around 330BHP. With an excellent suspension and its mid mounted V8, the Pantera was a great improvement on the its predecessor the Mangusta. Over 7,000 were produced from 1971 to 1992. 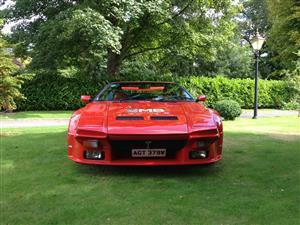 The De Tomaso Pantera on offer is a 1974 GTS and has been with the current owner for sixteen years. Said to have been driven by Pierce Brosnan and Justin Bell (son of Le Man winner Derek Bell), this Pantera had an extensive three year restoration starting in 2009. 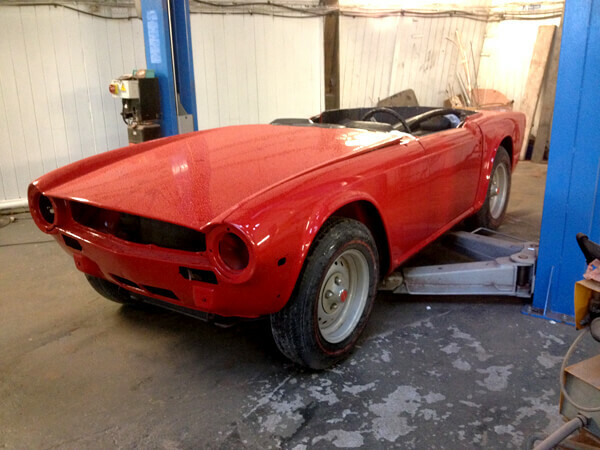 Works included a full body repair and respray. A new engine was built by GT40 and Lola specialists Engine Data and now produces 400BHP. Other extensive works included a new leather interior and what looks like a very extensive list of improvements and upgrades. These De Tomaso Pantera’s sound epic and are a great drivers car. Prices are on the rise but have not risen as fast as their Italian counterparts. So you do get a lot of V8 for the money. And with £230 in the petrol fund, you are off to a winning start. We love Pantera's. They have great stance. 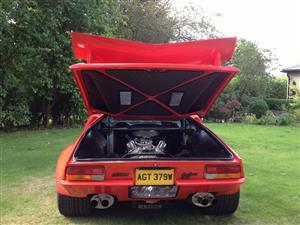 Lacking the lady bird engine wings of the Mangusta, this Pantera makes up for it with a huge Countach style rear wing. We'd love to be able to sit in that cockpit and blast that V8 along some twisty roads.